I love Aldi so much I even forgive them for forcing my gym to shut and move so far away from me I have to drive there. I especially love their Cremant de Jura. 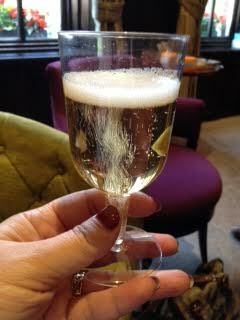 If I could have one tipple constantly on tap it might have been that – before I tried this champagne. Champagne can only be called champagne if it comes from the champagne region of France. Now, there are varieties growing there that are decent and of course some farms which produce less than optimal varieties and of course some is cheaper blah blah blah so when I was sent a bottle of champagne from Aldi I have to admit I was hesitant. So I chilled it for 2h – a timing I usually reserve for £80+ per bottle champagne. I’ve been drinking more Nicholas Feuillate and it has really changed my enjoyment of champagne. 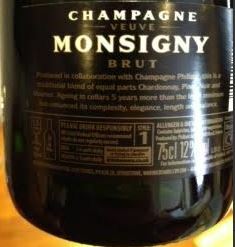 Knowing this I approached the bottle carefully, treating it as I would have any fine champagne just in case it was good. I popped the cork and the smell hit me. Seriously hit me. I was stunned – Aldi what HAVE you done?!?! I sniffed carefully again – no, first impressions were correct. 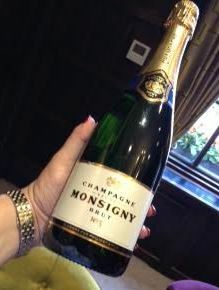 On the nose this champagne is balanced with a harmony of chardonnay, pinot noir and meunier. It has been aged 5 years more than the legal minimum and it shows. The balance is absolutely glorious in this champagne and I don’t believe I have ever had another champagne is this price range that comes close to this balance and flavour. The bubble size was larger than I like which was the only down note. I could have drunk the bottle but sadly was sharing it with friends. Buy a case of this and have it on hand and give it as gifts and every Friday crack open a cold one and put your feet up with some French music, opera or whatever and relax. This is one of the best alcohol offerings from Aldo. Perhaps pair it with their brandy, some sugar and bitters and make a champagne cocktail. Whatever you do, chill it properly and enjoy (in moderation of course).